Insurance policies are financial tools designed to cover a particular need. There are numerous types being offered in the market today, but one of those that are essential to have is long-term care insurance. If you’re looking into including long-term care insurance in your financial plan, here are nine tips to help you as you shop around and make smart decisions during the whole purchasing process. It’s essential to know what your needs are so that you know how much coverage is ideal for you. Yes, you may not know exactly what will happen in the future, but that doesn’t mean that you can’t have a foresight of what your probable needs would be. Look into you health, your family’s health background, and current lifestyle. 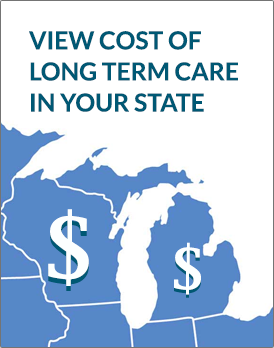 See if you have any risk factors to situations that may warrant long-term care in the future. Also, think about how much of your assets you want to protect. Do you want to leave something for your family? Are you planning to use the insurance policy to pay for all of your care-related needs or are you going to use it as a supplemental tool for a fund that you have designated specifically for long-term care? 2. Take your time when shopping around. Two different insurance companies can have a price difference of 60 to 90 percent for virtually the same policy. If you don’t take time in comparison shopping, you may miss out on crucial details like this. That’s why it pays to allot a considerable amount of time comparing offers from different insurers. Today, you can easily see what companies offer with just a few clicks. You can do so by requesting long-term care insurance quotes online. This is a good way to narrow down your choices because quotes sent to you are based on your own information. Insurance language can be hard to understand, so it’s best to be familiar with certain terminologies surrounding long-term care insurance. Also, you can ask help from a professional to explain the terms to you in a language that you can easily grasp. Just make sure that this individual is impartial and is not driven by earning a commission. Age is a determinant of how much your premiums will be. The younger you are when you apply, the lower the rate will be. That’s why experts always encourage people to by long-term care insurance early, ideally between the ages of 50 and 60. You may have the money to pay for a policy, but are you healthy enough to qualify? You need to understand that insurers look at your health upon application. If you are in great shape, your chances of qualifying are higher. Plus, you may be entitled for a health discount just for doing so. This price advantage is usually locked-in, meaning you will still be eligible for it regardless if you develop health conditions along the way. Meanwhile, if you have pre-existing conditions, you may or may not be qualified. If you do, your premiums would be higher and the policy may not cover expenses that are triggered by these conditions. In some cases, you may not qualify at all. 6. Buy as a couple. Insurers offer discounts to couples that are married or living together. If you apply with your partner, you can be eligible for up to 30 percent discount. In case only one of you qualifies, the insurance company may still give a partial discount. 7.Couples, consider pooling your benefits. Long-term care insurance shared care feature is ideal for couples who both have policies. With this rider, both spouses’ individual benefits will be pooled together and will be accessible to the both of them. Let’s say both you and your spouse have a 5-year policy with $100,000 maximum benefit. When you have the shared care feature, both of you will have access to 10 years worth of benefits amounting to $200,000. That means that if you need more coverage than what your individual policy has, you can easily tap your spouse’s benefits. This saves time and money for applying for a new policy or prevents you from paying straight from your pocket. Inflation protection keeps your benefits at pace with the changes in the rates of different care services. Because you are most likely to make a claim years from now, it’s best to ensure that you have enough benefits to cover your future care expenses. Inflation protection will help you do exactly that. The right type of inflation protection is dependent on a lot of factors such as your age and risk tolerance. You can ask a professional to help you calculate the best inflation protection for your situation. 9. Buy from a strong insurance company. Your long-term care insurance will only be as good as the company who provides it. So make sure that you do business with an insurer who’s financially strong and has a good payments history. You can check an insurer’s performance through ratings provided by independent organizations and your state’s insurance department.